Are You A New Man (or Woman) Today? The logical foundation of strength training is that we build muscle by lifting heavy weights. It’s an adaptation of the body similar to developing darker skin as an adaptation to intense sunshine. We call that adaptation a suntan. Stand in the shade and your tan does not get any darker. Lift an easy weight and your muscles don’t get any stronger. Makes perfect sense. So if you want today’s workout to build some new muscle you will need to lift a heavier weight than you usually do. A heavier weight than the last time you lifted. Or maybe if you lifted a weight for three reps last time you need to do four reps today. Something more intense. Something akin to brighter sunshine. If your last workout was truly productive it stimulated some new muscle growth. If you waited enough time for that muscle to grow (like you have to wait for hair and fingernails to grow) then you should be stronger today. So when you return to the gym you should be able to lift a heavier weight or at least generate higher intensity (total weight / time). Your last workout is inferior now. It’s like standing in the shade. You need more intensity today because you are a stronger person than you were during last workout. You are a new man. If every workout you perform is productive (and is there any reason it should not be?) then it causes new muscle to grow. If you have new muscle you are stronger. If you are stronger you should lift heavier weights more times. If you are doing everything right then every workout should be different than the last one. No two workouts should deliver the same intensity to a target muscle. Of course, it’s impossible to know if today’s workout is more intense than the last one if you don’t take some basic measurement. The fact is the first example is better by about 5% in terms of both momentary intensity andsustained intensity. This is something you can’t just “feel.” To know these facts you have to measure things. The reason so much crappy advice gets circulated year after year in gyms, magazines and blogs about strength training is because nobody measures anything in the gym. So nobody gets proved wrong. Measurement cuts through the opinions and gets down to facts. What exercises deliver the most intensity to the triceps? 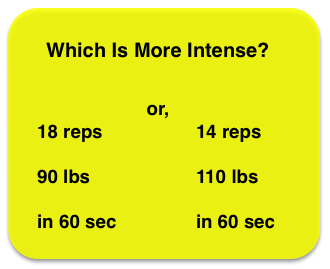 What combination of weight and reps delivers more intensity? When you measure you suddenly have facts instead of lore and opinion. When you measure you can pre-engineer productive workouts. When you measure you can become a new man or woman. In part one of this article we learned about some different forms of strength training and discussed their similarities and differences including Isometrics and Functional Isometrics. In part two we will take a closer look at how to incorporate these concepts into a your workout program. I will also introduce the concept of Static Contraction training an ultra brief, intense and efficient workout system based on the Functional isometric concept. Lets take a look at the execution of the Bench Press using the Functional isometric training style discussed in part one. Step One: First you will need a good Power Rack / Cage or Smith Machine with multiple height adjustments. Set the safety pins at a position about even with the bottom of your range of movement. Load a weight that is about 50% of your current max. If you rarely or never perform 1RMs then estimate from a 5-10 RM using an RM calculator. You will then position yourself under the bar and get yourself set in a good, solid, pressing position (do I need to explain how to properly bench press?). Lift the bar and hold it just a few inches off the bottom pins, for 6-10 seconds. If it felt super easy, add some weight, rest up a couple minutes and do it again. Once it feels really challenging at that height your done. Step Two: Raise the pins to the mid-range or sticking point of the movement. At this point (if you are not already there) add enough weight so that you are at or near your current max. 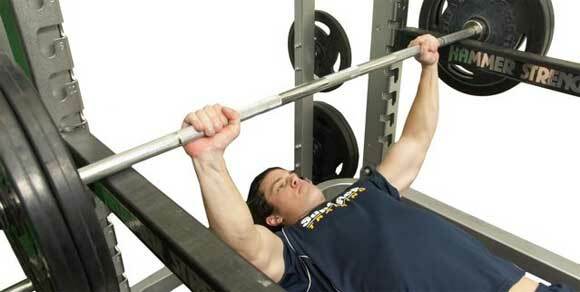 Lift the bar and hold it just few inches off the pins, for 6-10 seconds. If it felt super easy, add some weight, rest up a couple minutes and do it again. Once it feels really challenging at that height your done. Step Three: Raise the pins so that they are just a few inches away from your lock-out position (4-6 inches). At this point (depending on how your other sets have gone) add enough weight so that you are at or slightly above your current max. Lift the bar and hold it just a few inches off the pins, for 6-10 seconds. If it felt super easy, add some weight, rest up a couple minutes and do it again. Once it feels really challenging at that height your done. When performing these types of sets you want to strive for maximum efficiency. The more accurate your records the less weight adjustments you will be required to make. The goal is for you to know exactly how much weight will challenge you in each range, for each movement. This may take a week or two to figure out. Once you have your weight dialed in for each movement, you should perform no more then one, all-out contraction for 6-10 seconds in each of the three positions. I often cycle Functional isometrics into my own strength training program for several months at a time. 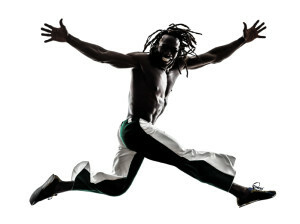 I find these types of workouts to be very challenging and extremely effective and efficient. I will load up for the exercise I am going to perform and start with the weakest part of the range first. I then do one, all-out contraction for 6-10 seconds in that position. I raise the weight to the next part of my ROM and after a brief rest, complete another 6-10 second contraction. One more adjustment, one more contraction, and I am done for that exercise. I find I can complete and entire full-body workout in as little as 20 minutes. 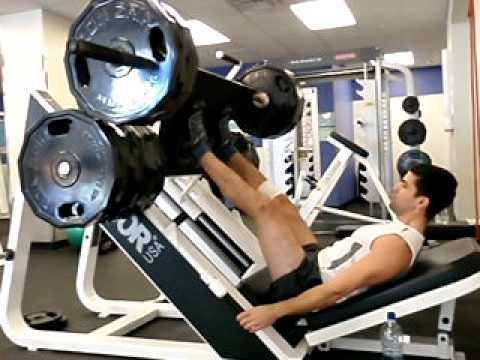 This is possible because I know exactly how much weight to use for each movement which makes set up quite simple. There are thousands of athletes and general fitness enthusiasts around the world who use a type of Functional isometrics termed Static Contraction training as their only form of strength training. In this style you perform just one, all out contraction in the strongest range for each basic pushing and pulling movement. 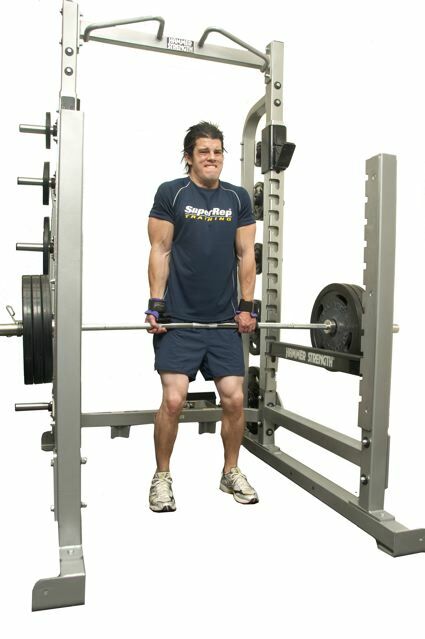 As I mentioned earlier in this article, this style of training is easiest to perform with a dedicated machine such as those produced by www.digitalstrengthtraining.com however terrific results can be had using conventional equipment as well. With just a little practice and dedication you can learn to fine tune the specific ROM of each exercise to produce amazing results in just a few minutes per workout. Static contractions performed in the strongest range, using one all-out contraction, for as little as 6-10 seconds, can produce rapid improvements in muscular strength and performance. Now those of you who are really paying attention may be saying “hey, what about the joint angle specificity problem you mentioned above? For many people The 15-20 degree carryover on either side of a specific joint angle is more then enough to supply usable functional strength for all activities. For some blessed with what is termed a type “G” strength curve, training in just about any part of ones ROM will produce results throughout the entire ROM (This is a genetic attribute and not subject to change). The bottom line is that when performing functional isometrics using the Static Contraction method, one may complete a brief, intense workout in just 3-5 minutes (not including set up, breakdown and rest). Individuals who regularly use this style of training will often rest and recover for 7-10 days (sometimes more) before the next session. For those who feel that they do not have time to strength train, Static Contraction training my be the tool you have been searching for. P.S. Functional isometrics are a great tool to have in your tool box. Whether you decide to buy and use a dedicated machine or to incorporate these into your regular weight workouts, I highly recommend you give Functional isometrics a try. Don’t be surprised to find your strength shooting up to new heights in a few short weeks. Q: What are isometrics? A: Isometric training refers to exerting strength without movement. The most classic form of isometric training is pushing or pulling an immovable load. Q: Why include any form of isometrics? A: You actually recruit more motor-units during an isometric action than during a concentric action. 1. It’s impossible to quantify progress. Since you’re not moving a load, you don’t know if you’re improving or if you’re exerting maximal effort or not. This creates problems with accurately determining progression which may lead to diminished motivation. Q: Then why bother including isometrics at all? A: Isometric or Static training is one of if not the most efficient forms of strength training available. However due to the above mentioned limitations many people do not explore this form of training. Luckily there are two solutions available which overcome all of the problems of classic isometrics and make them not only worth including but easy to accurately measure and track for on-going progressive overload. Q: What are Functional isometrics? A: Functional isometrics are a bit different. You still exert force without movement, but you’re actually lifting a load or tracking your force output with dedicated technology. Q: How do I incorporate these into my training plan? A: There are several ways in which you may include functional isometrics into your training. The first is to purchase a dedicated machine such as the ones available from www.digitalstrangthtraining.com . Q: What if I can’t afford one of these machines or I don’t want to wait to try Functional isometrics? A: Well, you are in luck. All you need is access to some basic gym equipment and you can start using this highly effective style of training right away. Q: What exercises can I perform using Functional isometrics? A: This type of exercise can be used with many weight lifting exercises. Traditionally power lifters and Olympic style weightlifters have used static holds to over come sticking points in exercises such as the Bench Press, Deadlift / Clean, and Overhead Press. I find Functional isometrics to be effective for most of your standard pushing and pulling movements. With access to basic gym equipment such as a leg press, rowing and pull-down machines and a good power cage or Smith Machine you can perform just about any exercise you can think of. Q: How do I execute a Functional Isometric exercise using standard Weight training equipment? A: You start the bar at a specific height and lift it two to three inches. Then you hold the position for six to ten seconds. You keep on adding weight until you can’t lift and hold it for at least six seconds while maintaining a good lifting posture. This way you’re actually lifting weights and can quantify your progress. For more on Static Isometric training including examples of how to set up and perform basic exercises please read part two of this article.